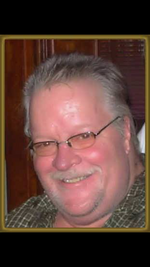 Kenneth Reid Obituary - Massena, New York | Donaldson Funeral Home, Inc. The Memorial Candle Program has been designed to help offset the costs associated with the hosting this Tribute Website in perpetuity. Through the lighting of a memorial candle, your thoughtful gesture will be recorded in the Book of Memories and the proceeds will go directly towards helping ensure that the family and friends of Kenneth Reid can continue to memorialize, re-visit, interact with each other and enhance this tribute for future generations. MASSENA – Mr. Kenneth J. Reid, 58, of County Route 37, unexpectedly passed away Tuesday morning, May 2, 2017 at Massena Memorial Hospital. Ken was born April 3, 1959 in Star Lake, the son of the late Edwin R. and Irene Kennelly Reid. He was raised in Tupper Lake before moving with his family to Saranac Lake, where he graduated from Saranac Lake High School in 1977. Ken worked for many years as a truck driver for SMX Transport. He later started working for the Walmart in Massena in their maintenance department. Ken also was a courier for various local businesses. He truly enjoyed connecting with friends on his CB radio, playing computer games, and fishing. Ken is survived by his loving companion of 25 years, Mary Markes of Massena and her children, Michael and Tina Markes, both of Massena; his grandchildren, Lorraine, Makayla, Taylor, Devin, and Anthony; his brother and sister-in-law, Steven G. and Lisa Reid of Lake Placid; his sisters, Elizabeth Pitcher of Stonybrook, Long Island and Maggie Little of Omaha, Nebraska; and many nieces and nephews. In addition to his parents, Ken was predeceased by his twin brother, Robert Reid, another brother, Eddie Reid; and his sister, Beatrice Reid. There will be no calling hours. A celebration of his life will be held at the convenience of the family. His cremated remains will be buried in the family lot in St. Bernard’s Cemetery, Saranac Lake. Memorial contributions may be made in his memory to the American Diabetes Society. To send flowers to the family of Kenneth J. Reid, please visit our Heartfelt Sympathies Store.